"IN DARKNESS,FIGHT WITH LIGHT. From Remedy, the masters of cinematic action, comes a 3rd person action game filled with overwhelming odds and desperate near escapes. When the wife of the best-selling writer Alan Wake disappears on their vacation, his search turns up pages from a thriller he doesn’t even remember writing. A dark presence stalks the small town of Bright Falls, pushing Wake to the brink of sanity in his fight to unravel the mystery and save his love. 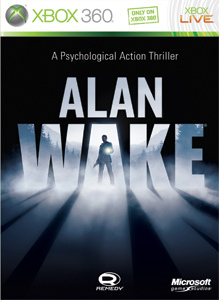 With the body of an action game and the mind of a psychological thriller, Alan Wake is a pulse-pounding thrill ride."